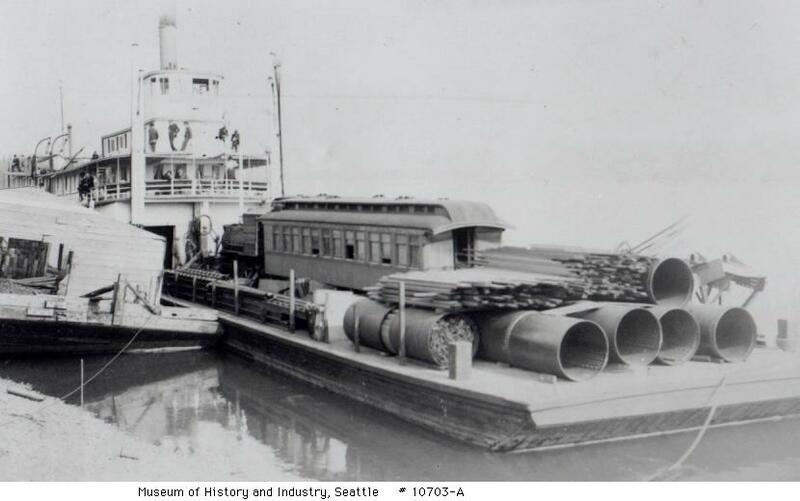 To WP&Y from Columbia and Puget Sound. 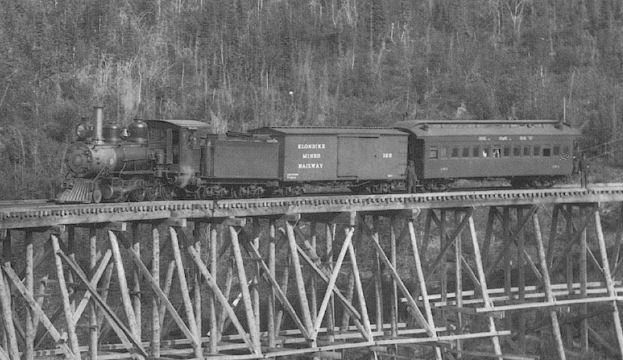 Sold to Klondike Mines Railway in 1905, renumbered to 200. 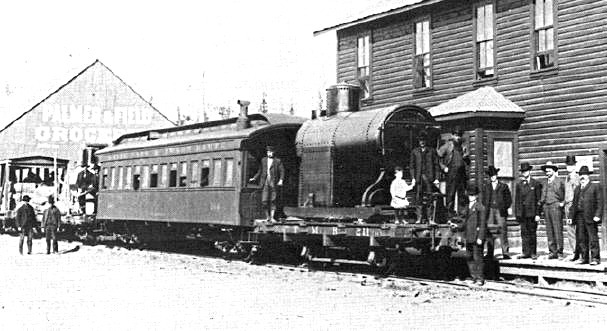 Passenger service ended 1911. Accidentally burned in late 1940's. 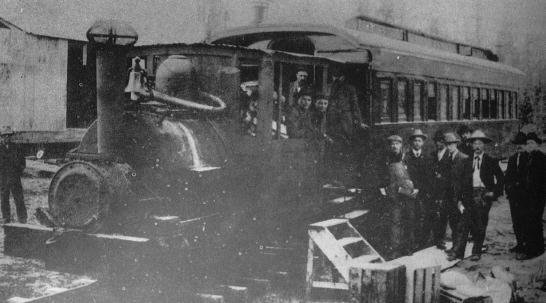 Trucks marked "J.Hammond, SF, 1887"
202 in front of engine #4 before delivery to WP&Y. 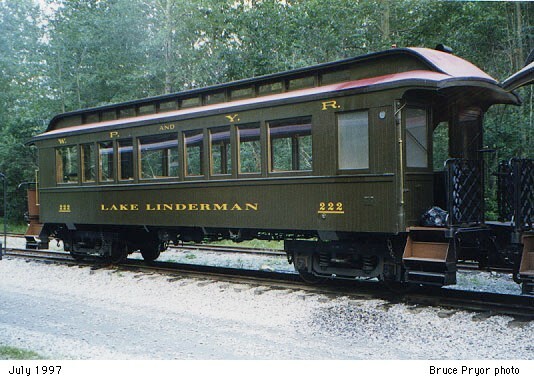 Converted to parlor car1967, renumbered to 272, Lake Nisutlin. 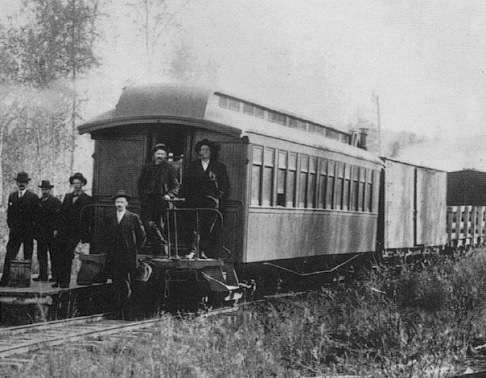 204, 206, 210 sold to Tanana Mine RR -Tanana Valley RR-Alaska Engineering Commission. Car numbers in early WP&Y,TMR, TVR, and AEC photos are unreadable. Here are some of the cars on TMR, TVR, and AEC. 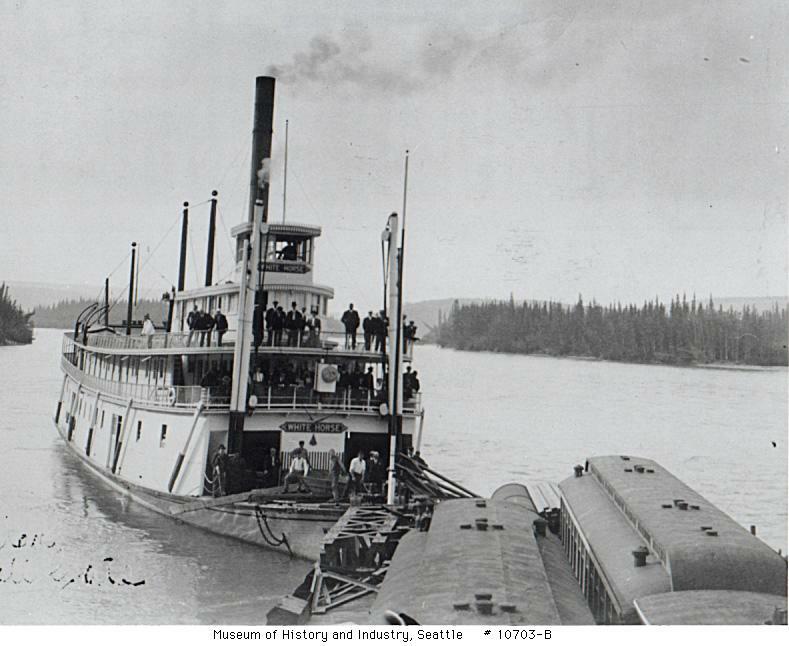 Another view, with a different steamer, probably below Dawson. 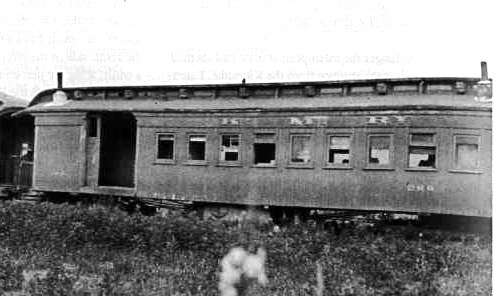 Only the vents of the second coach are visible. Still painted for WP&Y. Number looks like 204. From Columbia & Puget Sound. 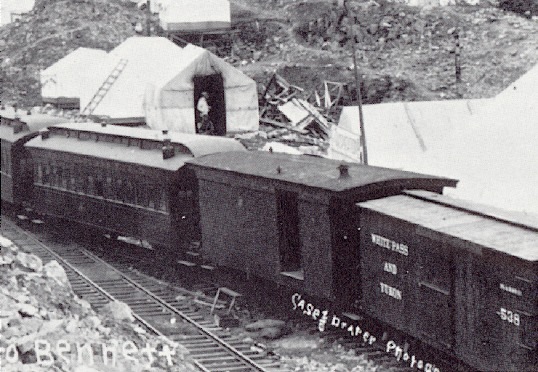 Wrecked Sept 30, 1943. 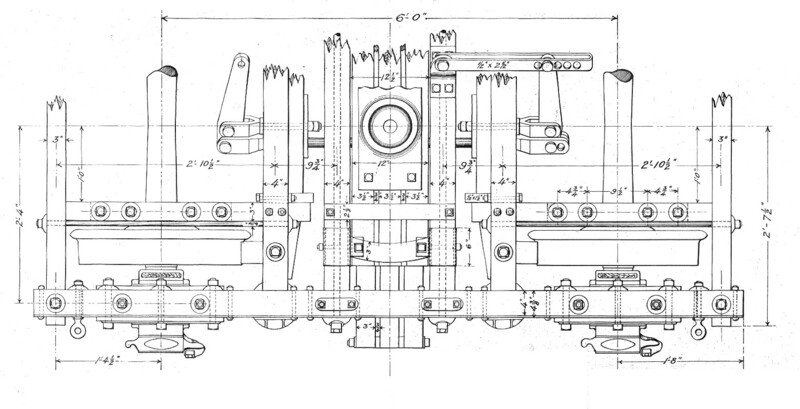 205 behind Engine 1 or 2. 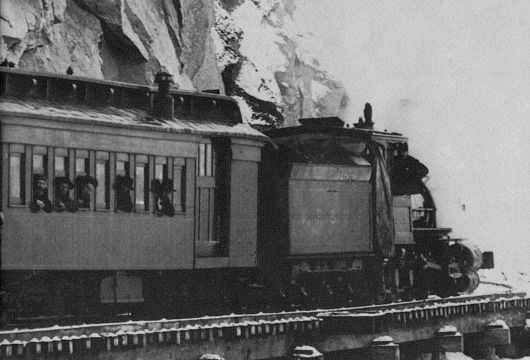 From Pacific Coast RR, 1938. 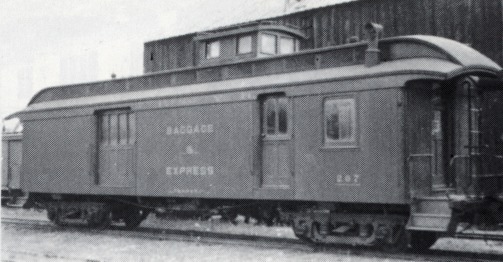 Converted to Parlor car 1967, renumbered to 270, Lake Kathleen. 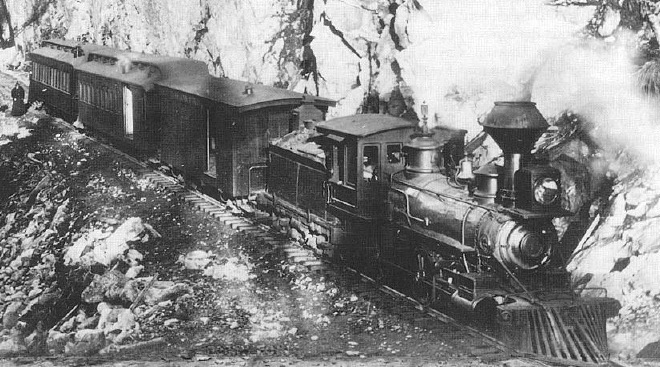 Sold to Klondike Mines Railway in 1905, renumbered to 202. 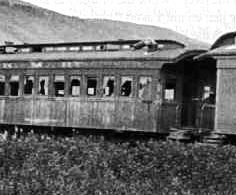 Passenger service ended 1911. Accidentally burned in late 1940's. 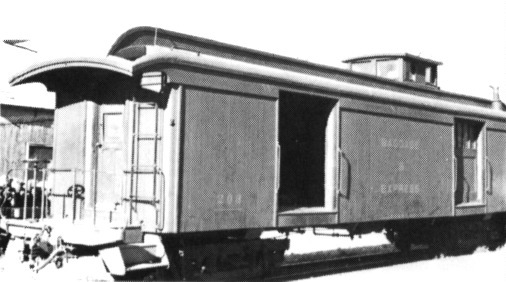 Trucks marked "Billmeyer & Small Co,York, Pa"
Enclosed for bunk cars in WWII. 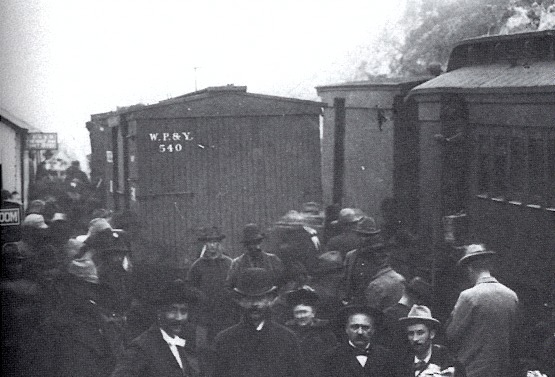 230 burned in 1943. 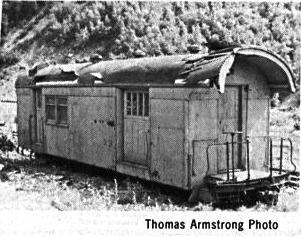 232 scrapped after WWII. From Sumpter Valley, for U.S. Army in WWII. 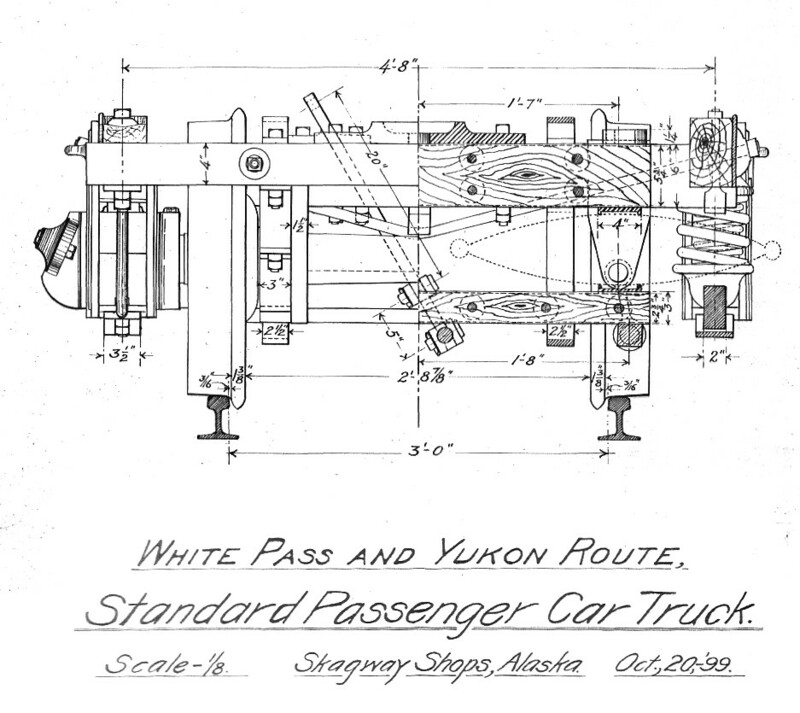 Used as tool car by WP&Y. 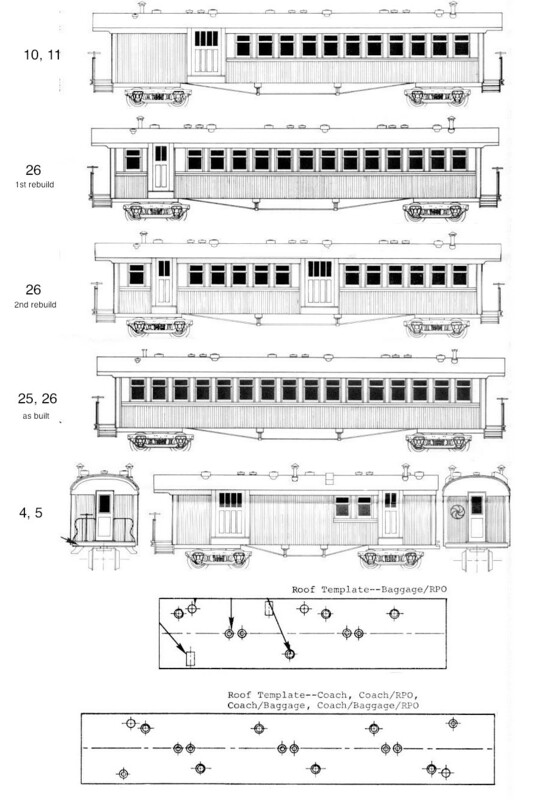 Plans of the Sumpter Valley cars from an old Westwood HOn3 kit. 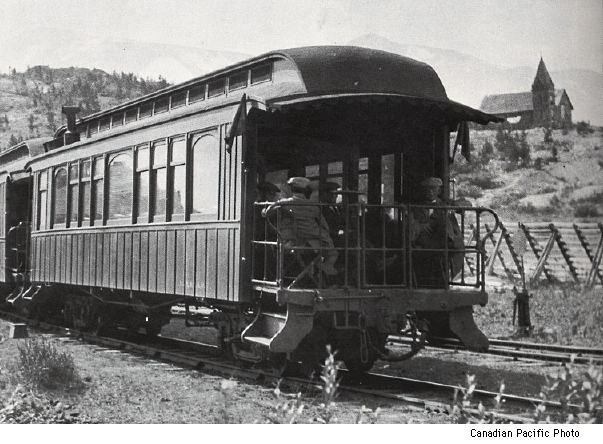 New passenger car with wheelchair lift.